Kioko has been watching the matatus come and go for as long as he can remember. On his fifth birthday, he gets the chance to climb aboard one with his grandfather. As the matatu pulls away from the market, several village dogs chase after it. Kioko wonders why the dogs always bark and chase after matatus. When he asks his grandfather about it, his grandfather tells Kioko an entertaining tale about a dog, a goat and a sheep. 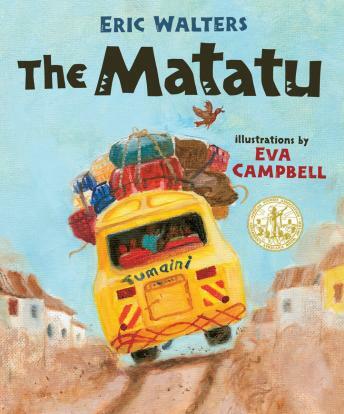 Set in East Africa and inspired by a Kamba folktale, The Matatu is a colorful story filled with unexpected twists and turns.